Police have started investigating former Kampala Metropolitan Police South commander, Assistant Commissioner of Police Siraj Bakaleke and four other officers over allegations of illegal arrest of South Korean nationals and robbery. Should the investigations bring out evidence pinning them, Bakaleke and co-accused will be taken to court, Patrick Onyango, the deputy police spokesperson told PML Daily on Tuesday morning. “We are looking at two issues. In case the evidence is not sufficient enough to pin them, the police officers will face the Police Disciplinary Court,” Onyango revealed. ACP Bakaleke, Assistant Superintendent of Police Herbert Akankwasa, Detective Inspector Robert Ray Asiimwe, Constable Drover Robert Ayebare and Constable Kenneth Zirintusa, are said to have intercepted South Korean nationals, from whom they allegedly extorted Shs1.4 billion ($400,000) before they deported them in February this year. The South Koreans identified as Park Seunghoon and Jang Shingu Un were to meet some gold dealers at Acacia Mall in Kampala where their lawyer Paul Wanyoto had set up the meeting. At Acacia Mall, they were surrounded by security operatives, who put them on gunpoint and ordered them to hand over the money. They were then driven to Entebbe International Airport where they were deported. It remains unclear whether the money was since recovered. 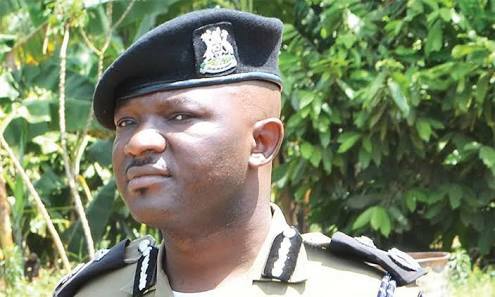 The Inspector General of Police, Mr Martins Okoth-Ochola recently ordered for their suspension.